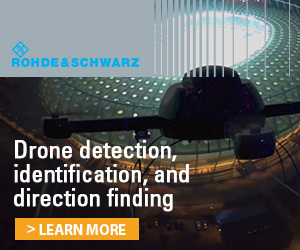 As in other industries, the frequency experts in the unmanned sector are scouring the spectrum gameboard for hidden slivers of bandwidth to support the flood of connected vehicles, drones, and other devices expected to fill the future. With prices for wireless frequencies running into the billions of dollars the debate over how to solve spectrum shortages has been intense and, at times, testy. There is bandwidth available, however, though perhaps not entirely where expected. “Satellite literally has 1,000 times more spectrum available to it, and it’s available on a global basis, naturally, because it’s in space,” Nathan Myhrvold told Geekwire in 2015. Myhrvold was the chief strategist and technology officer for Microsoft Corp. before he co-founded the innovation investment firm Intellectual Ventures, of which he is now CEO. Sensing opportunity, the satellite companies have been revamping their underlying technology to support unmanned systems. Inmarsat has a deal in place to support connected vehicles from space. 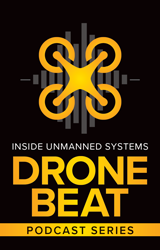 Intelsat is investing in leading-edge technologies and a broader array of satellites to support smaller drones. Ligado Networks is test driving a satellite-based command and control (C2) receiver for beyond-line-of-sight operations and other efforts, like the Swiss firm ELSE, continue to emerge. 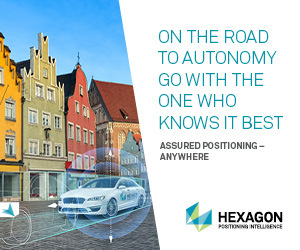 One of the biggest developments is a 70 cm, flat antenna called the mTennau7 that can be incorporated into the roof of a vehicle to support connected and driverless technology. “This (antenna) is small enough that in an armored vehicle scenario or in a diplomatic vehicle scenario it can be embedded directly into the roof of a car—or it can be mounted on the roof,” said Nathan Kundtz, the president and CEO of Redmond, Wash.-based Kymeta, which developed the technology. “Even a Prius can easily take one of these,” he said. The mTennau7 is electronically steered so the unit itself does not pivot or otherwise move. It can send and receive through a single aperture and takes only 12 watts of power—a comparable phased array antenna would need a couple of kilowatts of power, Kundtz said. The difference in price is just as dramatic. The 70cm diameter version of the mTennau7 wholesales for about $15,000, he said, while the bill for a phased array antenna would be closer to $1.5 million. The mTennau7 is based on metamaterials, the science of combining and structuring materials so that they create new capabilities. The technology is not unlike that found in TV screens; in fact, Sharp is now producing a component for the 70 cm version of the antenna, which should be available in May. A 20 cm version is under development. Though connected vehicles is the initial target market, the mTennau7 was originally designed for yachts, and the antennas are sealed to prevent water damage. They can operate in temperatures ranging from -40 degrees Celsius to 70 degrees Celsius and it should be possible to make them useable on aircraft—even very small ones. Intelsat acquired an equity stake in Kymeta earlier this year and is partnering with them on a by-the-gigabyte service called KYLO. The service allows customers to buy only what they need in a way that is familiar. Though KYLO starts with service to the 70 cm antenna, it is designed, Kundtz said, to address smaller apertures. 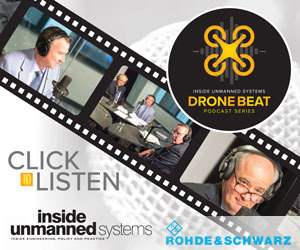 Intelsat has broad experience working with drone operators having supported the U.S. military’s Group 4 and 5 UAS. These categories comprise the largest unmanned aircraft in the Pentagon’s inventory including the Global Hawk and the Predator. 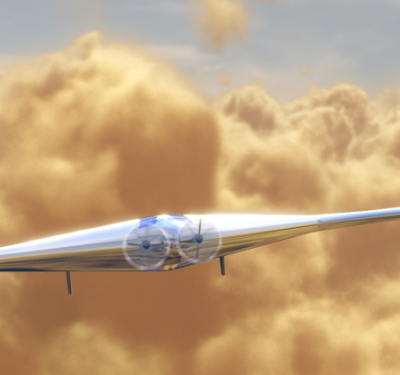 The company is now expanding to support the Group 3 aircraft, which range in weight from 55 lbs. up to 1,320 lbs. “Since those are smaller they need smaller antennas and they need satellites that can communicate with those smaller antennas. And so that’s driving new types of satellites,” said Mark Daniels, vice president of new technologies and services at Intelsat General Corporation. The spacecraft Daniels is referring to is the Epic NG satellite. There are three high-throughput Epic satellites on orbit now and three more set to launch this year. There will be one more launched for a seven-space constellation. In March, Intelsat also announced plans to merge with OneWeb, which is planning to launch a fleet of 900 broadband Internet satellites into Low Earth Orbit (LEO) to create a virtual broadband network. The merger will get a $1.7 billion infusion from SoftBank, a Tokyo-based telecommunications firm. 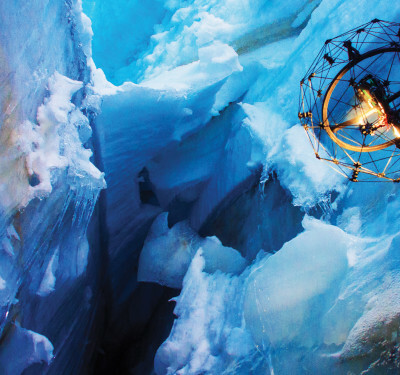 “OneWeb is going to be another dimension, really, in supporting small UAS,” Daniels said. 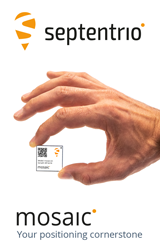 “I think that will allow for even smaller antennas and higher data rates for the smaller U.S. platforms. OneWeb, which broke ground on a satellite production facility in March, is not the only firm with plans for clouds of small spacecraft. Space X has filed with the Federal Communications Commission for a 4,000-satellite constellation to support broadband. The Swiss startup ELSE is planning a network of LEO satellites focused on machine-to-machine communication. Via Satellite reported at the end of 2016 that ELSE had raised $4 million, which should enable it to launch two demonstration satellites by the end of this year. The service will support fixed M2M communications but also mobile linkages. 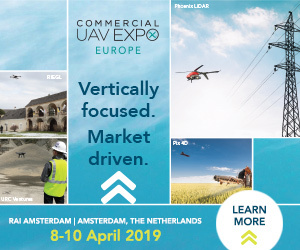 ELSE has been approached by drone firms as well as maritime and automotive organizations, Fabien Jordan, co-founder and CEO of ELSE, said in the Via Satellite interview. Inmarsat will be relying on its constellation of geostationary satellites to support its new deal to provide secure software updates for driverless and connected vehicles. Inmarsat announced early this year that it will team up with Continental, a technology company that has been doing over-the-air updates for more than a decade. The companies will offer rapid, global over-the-air updates over Inmarsat’s network. 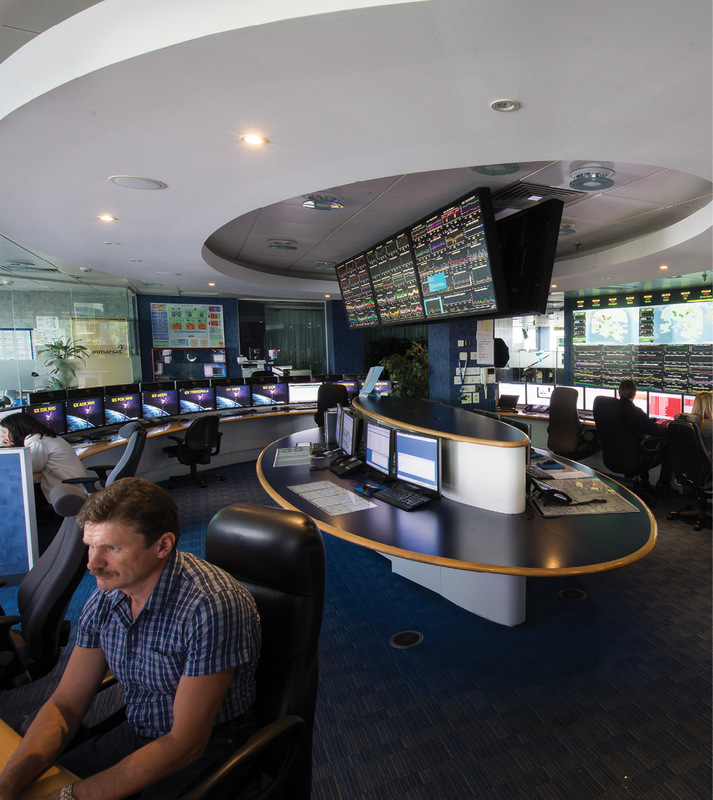 One of the advantages of using Inmarsat’s constellation is its two-way connectivity—firms should be able to confirm the update’s receipt. 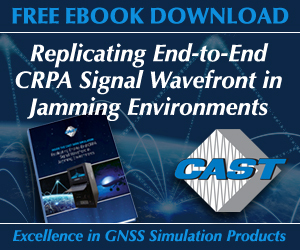 The global reach of satellite constellations and new antenna technology has implications for providing services to vehicles well beyond software. 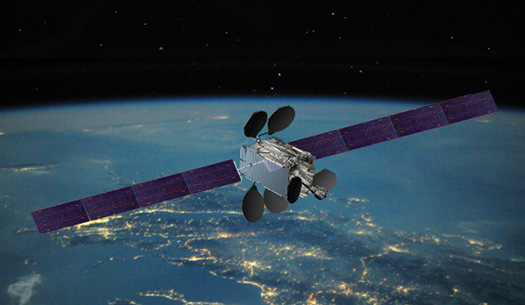 Inmarsat can also provide connectivity for data and video downloads to its Broadband Global Area Network (BGAN) without the need for cellular. The data/video run from the drone through the existing links to the drone’s controller and then through either an encoder or a portable terminal. 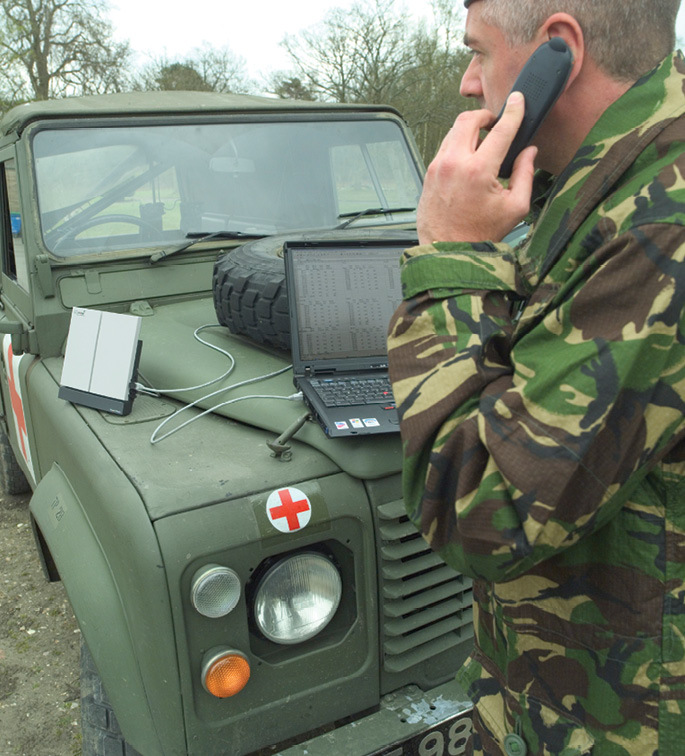 The setup enables operators to quickly send information from remote locations or disaster zones where other connections are not available. In fact, AT&T, which has been tapped to build the FirstNet Public Safety Broadband Network to support first responders, has chosen Inmarsat to be part of its team. Inmarsat is working on how it can best assist during emergencies. 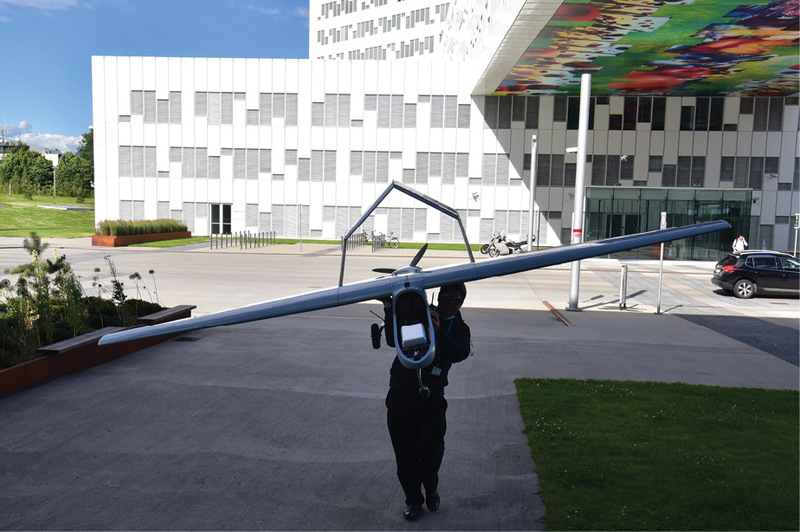 One of its technology partners, a Norwegian firm called AnsuR Technologies, has developed UAS software for specific projects with the United Nations, a system that was used during a sequence of volcanic eruptions in Indonesia. 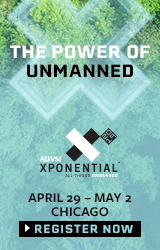 Ligado Networks, which serves North and Central America with its SkyTerra 1 Satellite, is working with AeroVironment and ViaSat to develop a connectivity service for unmanned aircraft. The concept is to support beyond-line-of-sight operations in those regions where cell-service or other forms of connection are not available. The receiver would enable switching from cellular to satellite and back as needed. Using a receiver developed by ViaSat, the team conducted tests in August at Utah’s Dugway Proving Ground on an AeroVironment Puma UAS. The tests showed a smooth handoff from ground communications links to satellite links and back again, a technique that enables customers to stick with cheaper communications as much as possible. They also tested the ability to convey commands while using the satellite link. Ligado’s frequencies are in L band—a range of spectrum desired for its propagation characteristics. 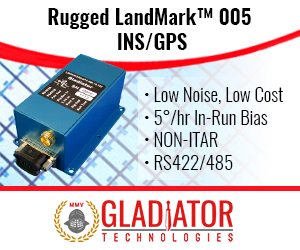 Though providing satellite communications was the original purpose for Ligado’s predecessor companies, it has now proposed a terrestrial that is controversial because of its potential to interfere with GPS signals. That network, however, does not use the same frequencies as the satellite service. Bringing satellite capabilities more fully into the bandwidth tool kit is necessary to realize the potential of connected cars and broader Internet of Things, said Intelsat CEO Stephen Spengler, who spoke alongside Pearce.